"Add to Cart" buttons are available on our ORDER FORM page for all catalog items. 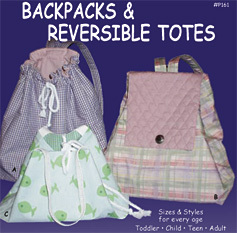 We are working to create buttons for all items in this catalog, so you won't have to switch pages when selecting items. 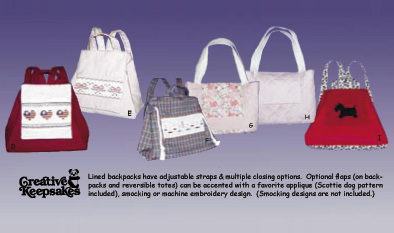 Each pattern includes multiple sizes. Unless otherwise noted, patterns are packaged in 9" X 12" poly bags. Size info is indicated below pattern image and also on our ORDER FORM page. #P150, sz 3, 6, 12 18 mos. #P151 sz 2, 3, 4, 5 yrs. 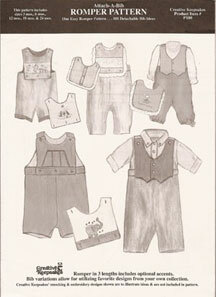 P155: sz 3, 6, 12, 18 mos. & 2, 3, 4 yrs. P157: sz newborn to 3 yrs. P158: sz 4 to 8 yrs. sheet folded to 9" X 12"
P180: sz newborn to 18 mos. small 8-pg booklet, 8.5" X 5.5"